Zwilling J.A. Henckels has a Halloween contest! Enter to win a Pumpkin Carving Essentials Prize Pack! Win the tools you need to get your pumpkin carved efficiently this Halloween. 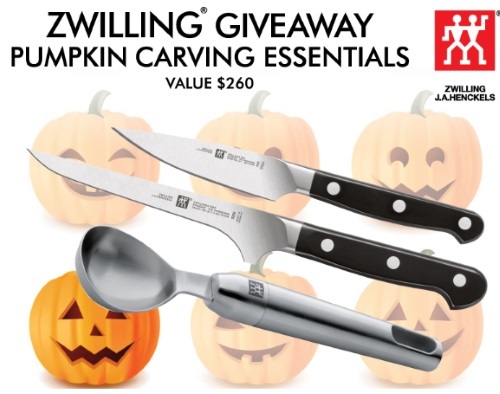 This prize pack includes a Zwilling Pro Boning Knife, a Zwilling Pro Paring Knife and a Twin Pure Ice Cream Scoop ($260 value). Contest closes October 26, 2016. One entry per person. Excludes Quebec.